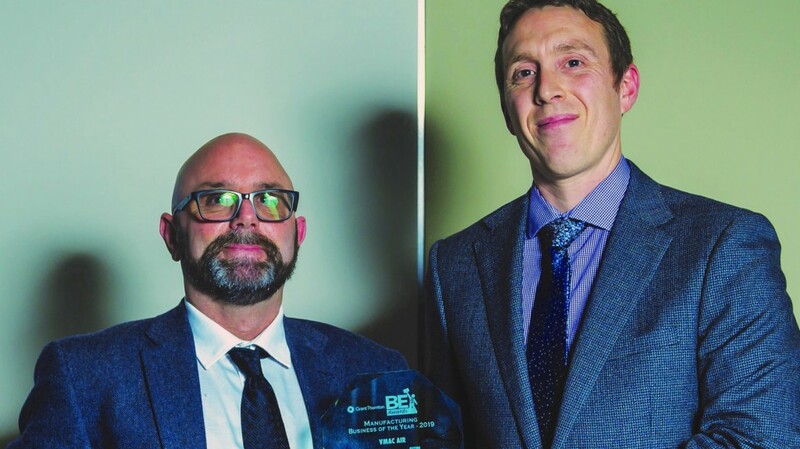 "The VMAC team is excited to be the winner of the Manufacturing Business of the Year category for the second year in a row," says Tod Gilbert, VMAC's President. VMAC has won Manufacturing Business of the Year at the 19th Annual Grant Thornton LLP Business Excellence Awards. Presented by the Business Examiner Media Group, the Business Excellence Awards feature 17 different categories and 85 different finalists from a variety of industries and communities. "The VMAC team is excited to be the winner of the Manufacturing Business of the Year category for the second year in a row," says Tod Gilbert, VMAC's President. "In the last quarter of 2018, VMAC was also announced as a 2019 finalist in Canada's Best Managed Companies. These continued achievements are a testament to VMAC's dedicated and talented team." The winners of the Grant Thornton LLP Business Excellence Awards are selected by an independent judging panel, consisting of business professionals from local businesses, not-for-profits, and consulting firms. Candidates must describe the innovations and changes made in 2018 that resulted in year-over-year improvement of the business, including growth in employees and sales. "Every year there are some amazing success stories told at this event," notes Mark MacDonald of Business Examiner. "There are a lot of hard-working business people who have put everything they have into their companies, and it's great to have an evening to celebrate their efforts." "We're proud to represent the manufacturing industry on Vancouver Island, designing and manufacturing the most innovative compressed air solutions that are exported globally," says Tod Gilbert. "VMAC's ongoing achievements are due to VMAC's culture, spirit of innovation and continuous improvement that our 130 coworkers exemplify every day."